To continue the momentum toward achieving disability rights in Vietnam, participation from all segments of society is needed. The RightsNow! project is honored to work with disability leaders, advocates and allies in Vietnam to strengthen communities through disability rights implementation. There is a strong consensus between the disability community and government of Vietnam that people with disabilities should have equal opportunities to contribute to society and their country. The National Coordinating Council on Disability (NCCD) was established in 2001 under the Ministry of Labour, Invalids and Social Affairs (MOLISA) and was tasked with the responsibility of coordinating, promoting and monitoring disability policies, legislation and the 2012-2020 National Action Plan to Support Persons with Disabilities. From 2010-2013, the government issued regulations to implement some areas of the law, and in November 2014, ratified the CRPD after the National Assembly of 500 members voted unanimously in favor of ratification. On October 6, 2015, the Prime Minister of Vietnam changed NCCD to the National Council on Disability (NCD), in order to comply with provisions of the CRPD. The committee is charged with assisting the MOLISA Minister to steer the coordination between ministries, sectors and localities in addressing issues related to persons with disabilities. Disability-led organizations, including 23 official Disabled People's Organizations (DPOs) who have an official relationship and role with the national and provincial governments, are actively engaging with their communities and government to identify solutions that will guarantee full inclusion of disabled citizens through effective implementation and monitoring of existing laws, action plans, and policies. The RightsNow! project welcomes all people to become actively involved in strengthening disability rights in Vietnam using the tools and resources available in the Global Disability Rights Now! resource center. January 2015: MIUSA partnered with Action to the Community Development Center (ACDC) to conduct project activities in Vietnam. 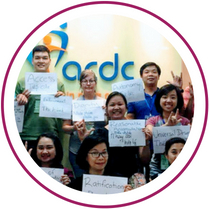 ACDC is a disability-led NGO based in Hanoi which works to empower communities of people with disabilities and other marginalized groups, and consults with government agencies on policies impacting the rights of people with disabilities. March 2015: The RightsNow! team conducted a 5-day introductory visit to Hanoi, Da Nang and Ho Chi Minh City to identify key thematic areas to focus on regarding the Vietnam Law on Persons with Disabilities (VLPWD) and the CRPD. The U.S. experts met with a wide range of stakeholders such as government agencies, official disabled people’s organizations, and advocacy organizations, as well as the U.S. Embassy and USAID. October 2015: RightsNow! sent a team of experts in disability rights training and disability law and policies to conduct a five-day training in Hanoi with 26 leaders from 16 provinces who represent disability-led and/or advocacy organizations. Training topics included U.S. and Vietnamese disability laws, coalition building, advocacy, and action planning. As a result of the training, official meetings were held with five Ministries (Transportation, Construction, Education and Training, Health, and Social Affairs) where training participants provided recommendations to each Ministry for strengthening implementation of the law and/or amendments to existing laws and decrees. May/June 2018: RightsNow! sent a team of experts in disability rights training, law, policies and Deaf rights to conduct a two-day training for Deaf leaders followed by a five-day Training of Trainers (TOT) in Hanoi. The two-day training covered key concepts and principles of disability rights, the ADA and VLPWD, and launched the use of the first Sign Language Interpretation video of the VLPWD. The five-day training brought together 30 cross-disability leaders from around the country, and covered sections of the VLPWD with a comparison of the ADA. The training included the involvement of five Ministries, providing participants a platform to address each Ministry with recommendations and/or questions related to the local laws and decrees. Also during the week, the team prepared TOT participants to conduct cross-disability trainings in their own provinces. August – September 2018: Nine trainings were co-led by training teams of TOT participants in Da Nang, Hue City, Quang Nam, Vung Tau, Can Tho, Thai Binh, and Hanoi. Each training brought together approximately 30 disability leaders plus government officials, and covered topics of enforcement of the VLPWD, comparison of the ADA and VLPWD, CRPD and SDGs. Each training also included a pre-training for Deaf participants as modeled by the TOT. 2015-2018, the RightsNow! Consortium provided technical assistance to DPOs, CSOs and government on implementation of disability rights laws in Vietnam, which included consultations on legal aid, reasonable accommodation, physical accessibility and monitoring tools for the implementation of the CRPD and national law. 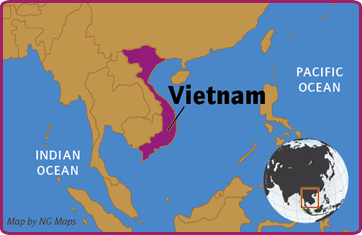 The key resources below are available in Vietnamese. It is our intention to continue to provide additional resources in Vietnamese.